Former Ambassador Daniel Shapiro speaks to an audience at Drury University in Springfield Monday evening. President Donald Trump declared early in his presidency that his administration would unveil a peace plan for the ongoing conflict between Israel and the Palestinians. But he has yet to release the details. KSMU’s Jennifer Moore interviewed Daniel Shapiro, the former US Ambassador to Israel, who was in Springfield this week to speak at Drury University on the status of the peace process and the role Trump's base plays in the wider picture. Listen to the interview between Ambassador Daniel Shapiro and KSMU's Jennifer Moore here. 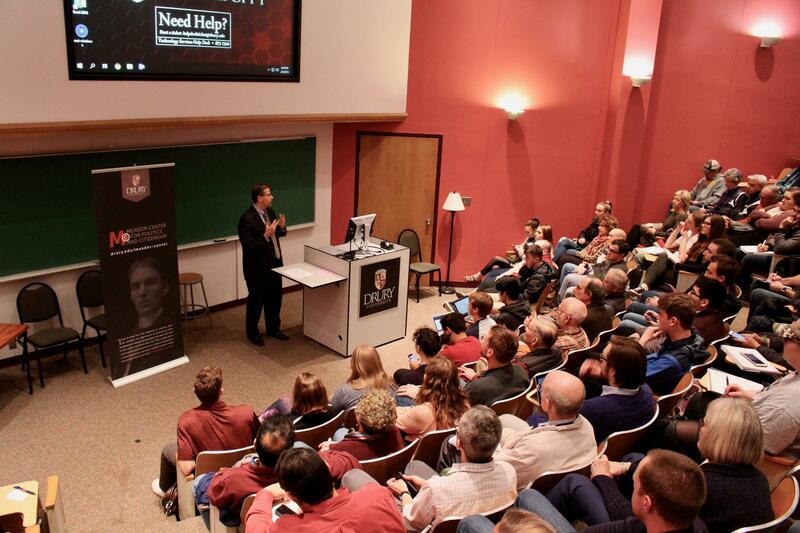 Shapiro was a guest speaker as part of a series offered by Drury University's Meador Center for Politics and Citizenship.